Under a deferred payment credit the beneficiary does not receive payment when his presents the documents but at a later date specified in the credit. On presenting the required documents, he received the authorized banks written undertaking to make payment of maturity. In this way the importer gains possession of the documents before being debited for the amount involved. In terms of its economic effect a deterred payment credit is equivalent to an acceptance credit, except that there is no bill of exchange and therefore no possibility of obtaining money immediately through a descant transaction. In certain circumstances, how ever, the banks payment undertaking can be used as collateral for an advance, though such as advance will normally only be available from the issuing or confirming bank. A discountable bill offers wider scope. Government letter of credit —That letter of credit, which are done by the Defense Ministry and other Ministries of the government. Master or mother letter of credit — The L/C which come from out side the country to the exporter from importer that is mother or master letter of credit. Clean or open letter of credit — The letter of credit, which provides assurance of payment bill of exchange without submission, of any export documents that is called clean letter of credit. At sight letter of credit— That letter of credit, which expires ninety days i.e. with in this period the documents must be sending to the negotiating bank . Deferred payment letter of credit —That letter of credit, which expires one hundred & eighty days i.e. with in this period the documents must be sending to the negotiating bank . Red clause—pre-shipment finance that allows you (the beneficiary) to receive an advance from the advising bank of all or part of the amount owed to you under a documentary credit so you can buy raw materials or other inputs required to manufacture the product for export. Acceptance Credit- With an acceptance credit payment is made in the form of a tern bill of exchange drawn on the buyer, the issuing bank or the pendent bank. Once he has fulfilled the credit requirements, the beneficiary can demand that the bill of exchange be accepted and returned to him. Thus the accepted bill takes the place of a cash payment. The applicant is the party that induces the Banks to issues the letter of credit. The applicant is normally obligated to reimburse the Bank for any payment made under letter of credit. The issuing Bank is the Bank that issues the letter of credit. The issuing Bank undertakes an absolute obligation to pay upon presentation of documents drawn in strict conformity with the terms and condition of the letter of credit. An advising Bank simply advises a letter of credit without any obligation on its part. However, the advising Bank shall take reasonable care to check the apparent authenticity of the credit that it advises. The advising Bank is typically a Bank in the Beneficiaries. The beneficiary is the party entitled to drawn payment under the letter of credit. The beneficiary will have to present the required documents to avail payment under the letter of credit. The confirming Bank confirms that the issuer has issued a letter of credit. The confirming Bank becomes directly obligated on the credit to the extent of its confirmation and by confirming the Bank receives the rights and obligation of an issuer. It is to be noted that confirmation is normally done by the advising bank or by a third Bank in the Beneficiary locate. The Bank where drafts drawn under the credit are payable. In case of a usance credit where drafts are to be accepted by this Bank. 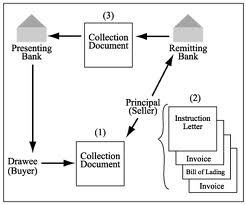 The Bank that negotiates document under letter of credit upon presentation. Typically advising Bank as nominated as negotiating Bank. The Bank nominated by the issuing Bank to provide reimbursement to the negotiating Bank or sometimes the payee Bank. A Bank is specifically authorized in the credit as a Transferring Bank. Typically Advising Bank is nominated as Transferring Bank. Such as Bank is authorized to make the documentary credit available in whole or in part to one or more other Beneficiary.